Caroline S. Hau Responds to Solita Monsod's "Why Filipinos Distrust China"
Dr. Caroline S. Hau, author of "The Chinese Question," responds to Solita Monsod's controversial column in the Inquirer. In her Inquirer article, Solita "Mareng Winnie" Monsod makes the same mistake as F. Sionil Jose of conflating "Chinese people" with "Chinese government," and worse, conflating "Chinese people" with "Chinese in the Philippines," which is further subdivided into three categories: Filipinos of Chinese ancestry who self-identify as Chinese Filipinos, Chinese nationals who hold Republic of China passports (note that Taiwan should not be equated with Mainland China; majority of Taiwanese certainly do not think they are the same as the Chinese in the mainland), and Chinese nationals who hold People's Republic of China passports. Conflating such diverse groups of people is not only intellectually lazy, but leads to all sorts of unfounded generalizations. Take, for example, her statement that "there seems to be no distinction between the Chinese people and the Chinese government." She conveniently forgets that China is an authoritarian state with far greater capability than the Marcos government of quelling dissent and exercising state surveillance over its citizens. If you live in a country that ruthlessly and efficiently practises censorship, that ranks its citizens according to a social credit system with its attendant rewards and punishments, that uses cameras and other devices to monitor its citizens' movements on ground and online and outside the country (to the extent that it can kidnap former citizens who are now citizens of other countries and "extradite" them to China to be detained), and that routinely violates the human rights of its citizens with impunity, you would expect its citizens to be reticent if not circumspect when they speak to outsiders (including the press, which is where presumably Monsod gets her information about China from) about their real thoughts about China. Conflating such diverse groups of people is not only intellectually lazy, but leads to all sorts of unfounded generalizations. I have colleagues and friends from Mainland China with whom I have had frank, private conversations over the years, and I can testify, at least based on fieldwork I have conducted over the years in China and talking to Chinese colleagues and informants and reading books on Chinese politics and culture, that it is not true that there is no dissent, or that people are not critical of their government. 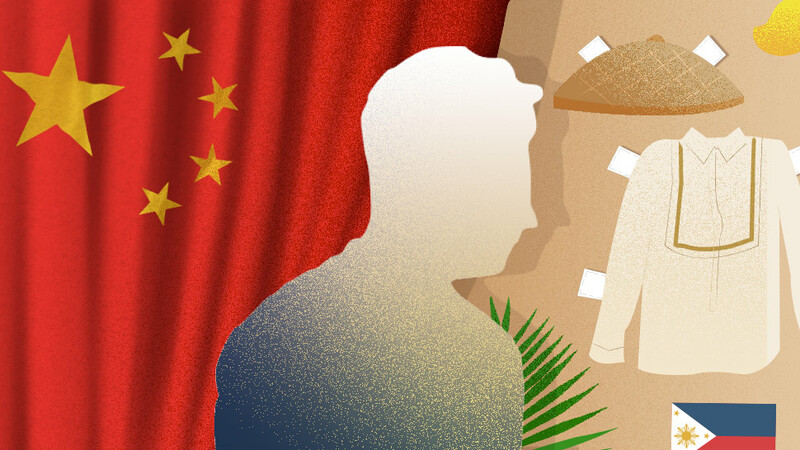 Chinese people's distrust of their government is evident in the outcry resulting from the tainted milk and drugs scandals, in the fact that citizens from the countryside have made the long trek to Beijing to lodge complaints against the corruption and injustice of government officials. Monsod should do more fieldwork, but then what do you expect from newspaper columnists these days who don't bother to do on-the-ground research, or even read scholarly works (of which there are plenty that argue that the concept of "China" is problematic because it is not necessarily conflated with the mainland state) that give a more nuanced picture of what is happening inside China? As for her so-called observation that "a Chinese-Filipino will never ever state unequivocally that he/she is a Filipino first, and a Chinese second (meaning, his loyalty is to the Philippines)," well, "never ever" is such a blanket term! Really, never? I would have offered myself as an example of someone with unequivocal loyalty to 'Pinas, and also with a brother and two out of two male cousins married to Filipinos who do not identify as Chinese Filipinos (but maybe Monsod wants to discriminate against Pinoys of Indian ancestry, as well? so that would leave me with one out of two male cousins married to "Filipino women," plus two out of three female cousins married to non-Chinese Filipinos). But unfortunately, I don't move in the rarefied circles that Monsod swans around in. Some of us are too busy earning a living, OFW-style, and remitting money home (and by home I mean 'Pinas, not China). I'm not saying there are no Chinese Filipinos who may hold conservative views about marrying non-Chinese Filipinos, but such attitudes have in fact become much more relaxed since the integration of the Chinese into Filipino society and more Tsinoys are marrying Pinoys. There are studies that show that younger generations of Tsinoys are more open to marrying non-Chinese Filipinos, and have done so. Moreover, if Monsod stops to analyze the reason for such an attitude in the first place, she would find that behind the stereotypical invocation of racial/cultural difference lie the historically fraught issues of "class" and "social status", the fear of marrying below one's station. This explains why historically Chinese mestizos tended to marry among themselves or else marry "up" by taking Spaniards or Spanish mestizos as brides or husbands. (The fact that Doña Victorina takes the lame Spaniard Tiburcio as her husband in Rizal's novels shows that this was a common practice among elite Filipinos.) You think if a Zobel de Ayala or a Villar or Binay asked for the hand of one of these Chinese Filipinos' daughters, the Chinese Filipinos would object to the marriage? (Well, maybe some Chinese Filipinos would object to their children marrying Villars or Binays, not because they are Filipinos, but because they are trapos.) 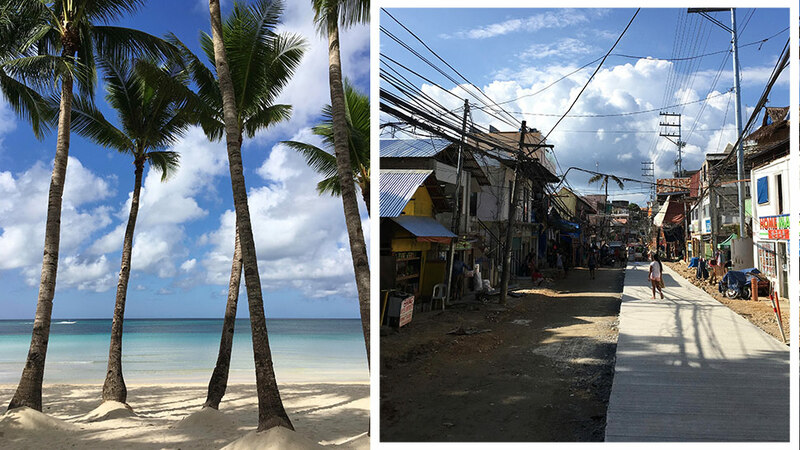 Moreover, Chinese Filipinos who are poor or of modest means, as Wickberg argues, tend to "disappear" into the Filipino community, and they have always freely married Pinoys. I know plenty of Tsinoys married to Pinoys, but like I said, I don't move in the same circles as our so-called Pinoy elites, so I'm in no position to disabuse Monsod of her rather blinkered and limited powers of observation. Monsod ends with this argument: "So does it boil down to: We don’t trust China because we don’t trust Chinese and Chinese-Filipinos? On the face of it, no. This kind of blanket statement, however, raises a number of questions, none of which the article sees fit to address: is Monsod saying that "Filipino", whether billionaire and non-billionaire, employers are not purveyors of unfair/bad labor practices (the historical record shows otherwise)? What does ethnicity have to do with being a bad employer? 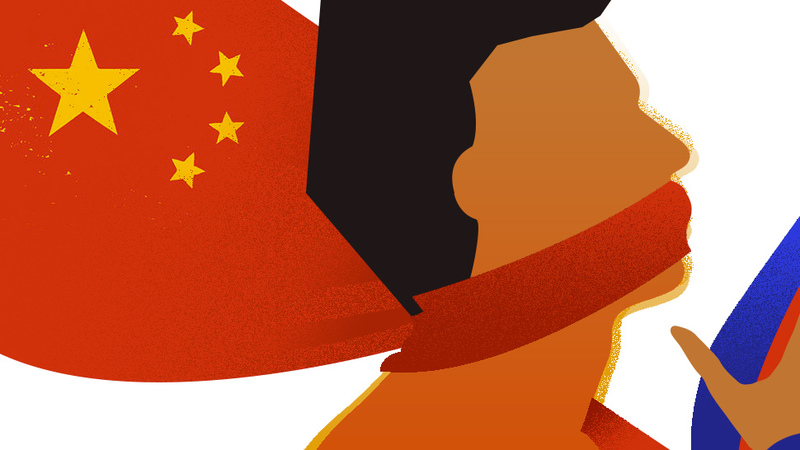 Does being Chinese Filipino make one a bad employer? Or is it the case that these billionaires and employers' Chinese-Filipino ethnicity makes them objects and targets of racist resentment? It is easier to give vent to racist hatred rather than give serious thought to the exploitative nature of capitalism per se and ask why our laws and employment practices allow big companies to get away with unfair labor practices. And, finally, what do unfair labor practices have to do with distrust of China? I've had my wallet snatched, been mugged and pickpocketed, while I was a student and a University of the Philippines Instructor taking jeepneys and buses in Pinas, but I would never use my personal experience and "observations" to make a blanket generalization like "I don't trust the Philippines" or "Filipinos are thieves." This doesn't make any sense. Here is where Monsod's own unexamined racism rears its ugly head. If Monsod accepts the fact that Chinese Filipinos are already Filipinos, then their ethnicity should not be an issue at all. Monsod ends with this argument: "So does it boil down to: We don’t trust China because we don’t trust Chinese and Chinese-Filipinos? On the face of it, no. So let’s go back to the SWS survey. We don’t trust them because we see that they are taking away what is ours (including what has been ruled to be ours by an international court). Because they treat our fishermen like dirt." I understand (and fully sympathize and side with) my fellow Filipinos' feelings about China's militancy on the territorial disputes and ill-treatment of our fisherman, but the SWS surveys do not tell us anything about how Filipinos perceive the Chinese in the Philippines, let alone distinguish among the sub-categories of Philippine Chinese, let alone provide any analysis of why such sentiments exist. Is Monsod, then, saying, that Filipino resentment of China is fed by Filipino resentment of Chinese Filipinos "because we see that they are taking away what is ours" (and here, she is not just referring any more to territory, but to something far broader—patrimony, perhaps?). Here is where Monsod's own unexamined racism rears its ugly head. If Monsod accepts the fact that Chinese Filipinos are already Filipinos, then their ethnicity should not be an issue at all. "Most of our billionaires are Chinese Filipinos" and "they are some of this country’s most hated employers" only become issues if you think that: 1) Chinese Filipinos don't have the right to become billionaires or to run big companies; and 2) the fact that they do means they are "taking away what is ours." That, Reader, is racism plain and simple. Now Monsod might say in her own defence that she is merely explaining Filipino "distrust", but I don't see how retailing the age-old stereotypes and assumptions about the alien Chinese does anything to clarify matters. In fact, it only muddies the issue. I began reading "Why Filipinos Distrust China" thinking I might learn something from it, and came away with the despairing thought that what the Monsod essay "boils down to" is this: "We don't trust China because we don't trust Chinese and Chinese-Filipinos" because, after all this time, and alas, we are still racists. This essay was originally published on Dr. Caroline S. Hau's blog ikanga.wordpress.com. Caroline S. Hau is Professor at the Center for Southeast Asian Studies, Kyoto University, and the author of Elites and Ilustrados in Philippine Culture and The Chinese Question: Ethnicity, Nation, and Region in and Beyond the Philippines, both published by Ateneo de Manila University Press. She carries a Philippine passport, and no other.